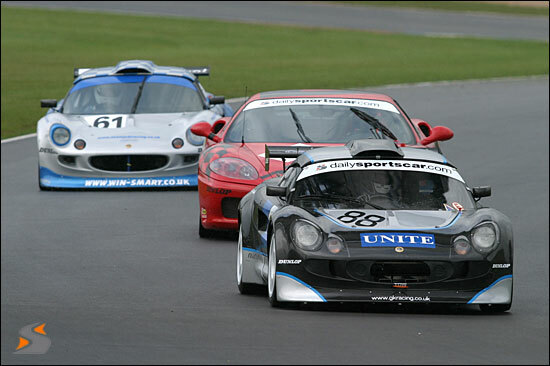 One team that is taking the 2004 British GT Championship very seriously is Gavan Kershaw Racing. Despite the name, this is very much a collaboration between Gavan Kershaw and Barrie Whight, and stems from their time as competitors (and rivals) in the Lotus Road Sports Series. As we will see shortly, this collaboration is much more than the traditional car-owner / team relationship. The two team principals have very different backgrounds, both in racing and professionally. Gavan Kershaw has been around cars from an early age, having raced in Karts from the age of eight (and winning several junior British championships in the process). At 16, he fulfilled many a young man’s dream and began an apprenticeship with Group Lotus. Over the course of the next 15 years, he spent time in every department (at least four months in each; also spending six years on an engineering HND) and obtained a very thorough grounding in engineering, before specialising in ride and handling. He is now regarded as the face of Lotus, dominating the Autocar Sideways Challenge for a number of years (for an illustration of his skill, keep an eye on him during warm-up) and being sent all over the world to demonstrate handling. Indeed, shortly after the Donington race in April, he was flown out to China on company business. If further evidence were required of Gavan’s reputation amongst the motoring world, then look no further than this quotation from Autocar (30.03.04), in an article comparing the Lotus Elise 111R with the Ferrari 360CS: “As for the regulars, though, we’d take Gavan Kershaw over Dario Benuzzi any day of the week. 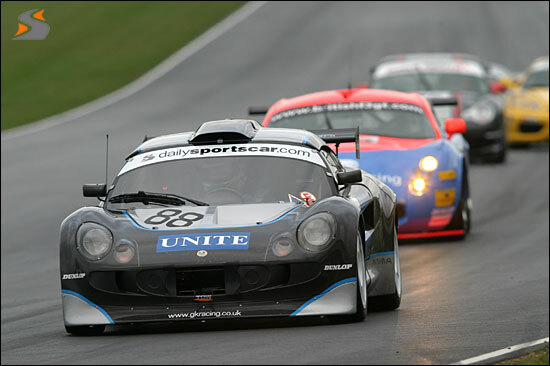 Largely thanks to Gav and co., the newly re-invigorated, Toyota-powered Lotus is probably the best road-going Lotus ever, certainly the most talented Elise.” Gavan raced for two seasons in the Lotus Road Sports Series and dominated the 2003 season. 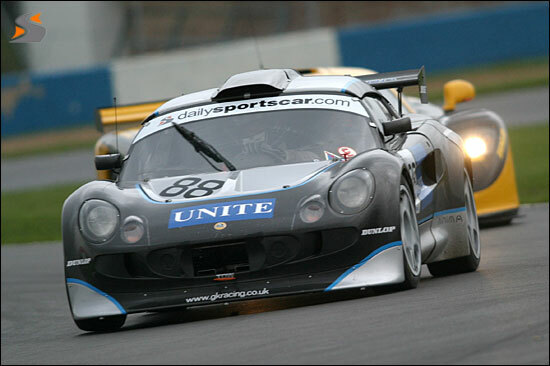 He also took part in two British GT races at the end of the year. Barrie Whight, in contrast, only began his involvement with motorsport three years ago, when he debuted in the Lotus Road Sports Series at Oulton Park. While he has gone on record as stating that he became a racing driver to impress women (a tongue-in-cheek statement stemming from a radio poll he heard on the way to his first race), Barrie is very serious indeed about his racing, his hobby rapidly becoming a passion. 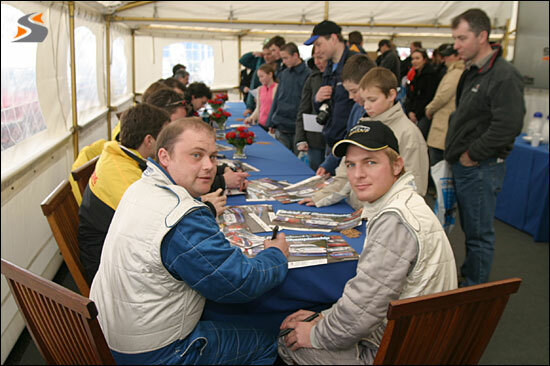 Barrie was a regular in the Lotus series and achieved his first race win at Donington Park in 2003, something that indicated further to his father, Paul, that he did indeed have potential as a racing driver. By this time, the link-up with Gavan had already begun, with the latter prepping Barrie’s car in the series. 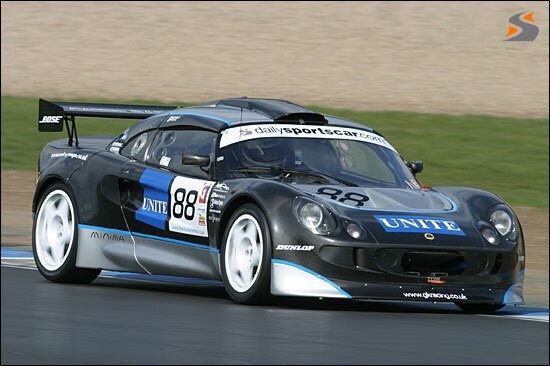 As 2004 loomed, plans were laid for Barrie to race his father’s Exige (as raced in the 2003 BGT) in the 2004 Cup class, and the car was taken to Norfolk for a very thorough overhaul. During the week, Barrie works as a project manager for P D Savills in London, but this does not prevent him playing a very active part in the team. As mentioned previously, this is no ordinary partnership. 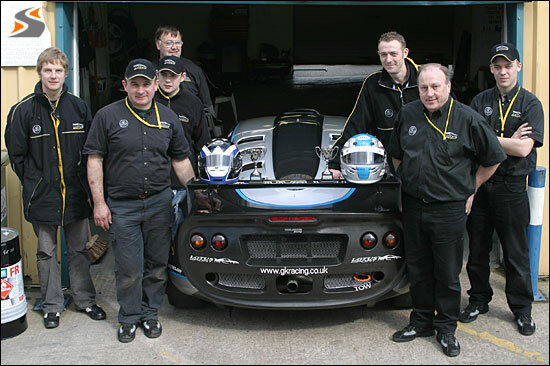 When Gavan agreed to prepare the Lotus for the 2004 Cup class, he insisted that Barrie be involved in every stage of the car’s (and team’s) progress. If the car was to break down, then Barrie needed to understand why it had happened. Conversely, if the car was to run quickly and reliably, then he had to understand why that was, too. Barrie readily agreed to this. Over the winter, the team stripped the car down to its component parts and went about the business of rebuilding it. It helps, of course, that a number of the team are also Lotus employees and know the car well: but what makes this whole project extraordinary is that every penny available goes directly on the car’s development – nobody in the team is paid a bean. This does not do their social lives any favours (the car comes first with every member of the team and most free hours are spent in the workshop), but it does mean that an incredible number of man-hours go into the build. An example of what this can result in is the fact that ten kilos were pared from the car’s weight, simply by rewiring. Would this have been achieved had there been a payroll? Mike Bishop – Lotus Sport employee who tunes the engine and is also in charge of the gearbox. Kevin Reynolds - #1 mechanic. Kevin spends the most hours on the car. Russell Gibbons – Lotus Sport employee in charge of radio communications, timing and pit coordination. Gavin Armstrong – Data guy. In addition to this band of weekend (and weekday-evening) warriors, there are a number of other friends and family who help out in any way they can. As there are no employees, a lot of Barrie’s time goes on co-ordinating the team (talking to suppliers and sponsors; admin, etc,) and his experience as a project manager helps greatly in this role. When the Lotus came back from being re-bodied, a planned colour scheme was abandoned, because it looked so impressive with bare carbon-fibre. This charcoal sheen certainly makes it distinctive, but also illustrates just how expertly-prepared the car is – and saves weight too! The team is optimistic for its chances in 2004. The car is running reliably and quickly, and there is much more to come. Definitely one to watch.